This is for the 3 Cards of the Day Tarot Reading. Click the "Add to Cart" button to purchase. If you do not wish to purchase over the internet, please order via email at fantasypopart@hotmail.com. Video reading. 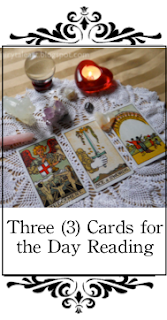 I choose Three (3) cards to give guidance or insight for the day provided. The 3 cards address the card of the day, the positives for that cards, and the negatives as well. 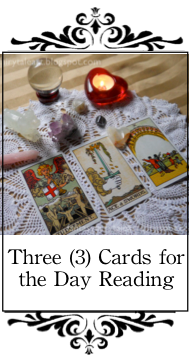 Please purchase this reading 5 days in advance so I can send your reading on the given day. 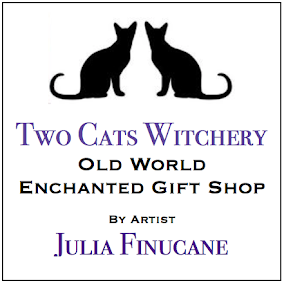 Please include in the "checkout box" your name, email, and date of day for reading. Payment is due prior to reading being done. Please view the Tarot Information page. Paypal verified & preferred. For other forms of payment, view the payment options page. When ordering through email, please include the reading you choose, & payment option. A reply email with invoice will be sent to you.